omg yaaaaaay I love Gravitation ^__^ And the ending theme of it is really awesome, I'm glad someone made a wallpaper of it!! :3 It looks really good!! Oooo Gravitation again. I've seen all the DVD's and read all the Manga's. Perfect'o!!! cant get it out of my head!! The background suits the title, I love it. 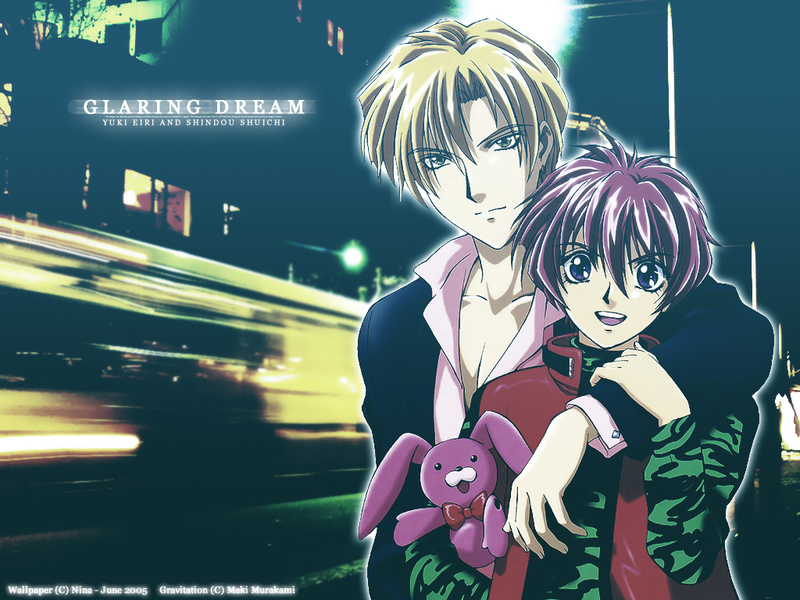 Yuki n Shuichi both of them always look good when they r together. Beautiful wallpaper.*. * They seem to be happy, hehe ^^ Cuuute^^ Thanks for sharing!